Everyone experiences sleep difficulties occasionally, due to a stressful situation or a change in routine. 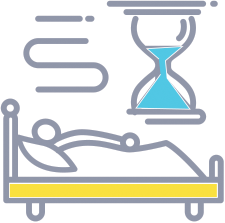 If sleep problems persist beyond a few nights, they are likely to impact your daily life, performance and relationships. If you believe you are struggling with sleep difficulties, talk to one of our qualified therapists. How sleep hygienic are you?